My hair is quite long. I need more things for my hair now. I think about going out shopping tomorrow. I took these photos while I was walking yesterday evening. While I was walking yesterday evening, the cloud was getting dark. I thought it would rain. But the sun came out again. I walk 3 miles every evening. This is the lane I walk on. flamingos in my Uni campus. 5. Crush the garlic. Mix tomatoes, onion, garlic, chili together with a little sugar, salt, chili powder, turmeric powder, 4 spoons of oil and a cup of water in a pan. And cook . 6. Cook until the water dry. 7. When the oil comes up to the surface. It is already done. Crush bananas . Melt the butter by heating in a pan.Mix bananas with butter, eggs and a little bit of sugar. Put the mixture in the baking dish and bake it in the toaster oven at 150 degrees celcius for one hour. Wishing you a very Very Happy Valentine's Day! Today is Valentine's Day. All of the couples have been busy buying chocolates, flowers, teddy bears, cards or diamond. Valentine's Day is not only for lovers, but also for everyone. For me, everyday is Valentine's day. I love daddy, mommy, brother, sister, friends, colleagues,children, flowers, grass, sky, clouds, birds and everything in this world. And...someone ...ahh..that is my secret. 13th February is the birthday of General Aung San. I remember the poem , we used to sing in primary school. 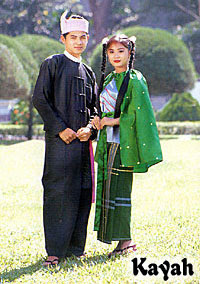 12th February is the Union Day of Myanmar. 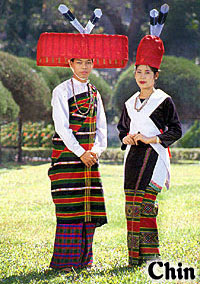 Myanmar is a union of 135 ethnic groups with their own languages and dialects. The major races are the Kachin, the Kayah, the Kayin, the Chin, the Mon, the Bamar, the Rakhine, and the Shan. 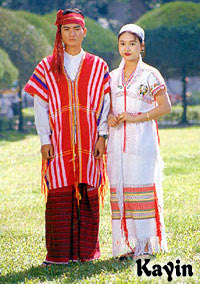 The name Myanmar embraces all the ethnic groups. 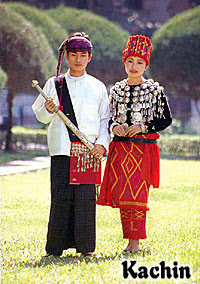 Kachin comprises 12 different ethnic groups. Kayah comprises 9 different ethnic groups. 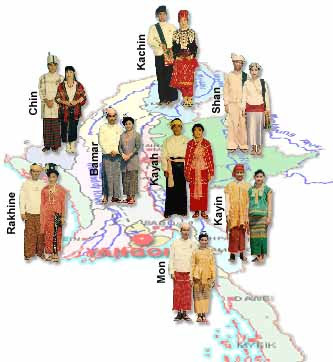 Kayin comprises 11 different ethnic groups. Chin comprises 53 different ethnic groups. Mon comprises 1 ethnic groups. Bamar comprises 9 ethnic groups. Rakhine comprises 7 ethnic groups. Shan comprises 33 ethnic groups. They are dating in my garage. I think the black kitty under the black car may be boy kitty and the brown one under blue car may be girl kitty.
" Roti Chanai" in Malaysia, "Roti Paratta" in Singapore. Whatever! It is not important how to call it. It is the food I like. I helped my mommy frying roti. 1. Boil the water in a big pot and add the Kachang powder (bean powder) , stir until the Kachang is well boiled and smells nice. 2. Slice the chicken into small pieces. Crush 3 onions, 5 cloves of garlic and ginger. Heat the oil in pan, cook the onion, garlic and ginger together with chilly powder and turmeric powder. Add a little salt, sugar and masala. 3. Cut the potatoes into dice shapes . 4. Add the chicken curry and the potatoes to the boiled Kachang and cook . Add a little sugar and salt. 5. Fry the Roti with a small amount of oil in a pan. 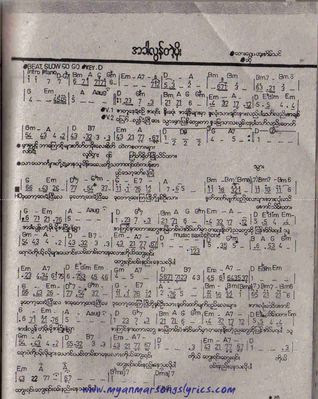 The song " Ah-Khar-Lun-Tae-Moe" (Unseasonal Rain). When I was helping my mommy in the garden, I saw this . I am wondering what he/she is doing on the grass. 1. Boil the rice vermecelli. Drain the water and put aside. 2. Crush the ginger, 5 cloves of garlic and chop 2 onions. 3. Boil the fish and crush. 4. Heat the oil in a pan and cook the ginger, garlic and onion together with turmeric powder and chli powder. 4. Add the fish and cook. 4. Put the rice in the water for one night. 5. Drain the water and put the rice in a pan and cook until golden. Cool it and blend in the blender to get the rice powder. 5. Cook the bean powder until golden. 6. Boil the eggs and slice. 7. Boil the water in a big pot. Add the rice powder, bean powder, fish , egg to the boiling water. Crush 5 or 6 lemon grass and add it to the soup. Put salt, sugar and fish gravy. 9. Slice the long beans. 10. Slice the boiled eggs.